Governor Andrew Cuomo signed a significant wildlife conservation bill into law today, A. 10143. 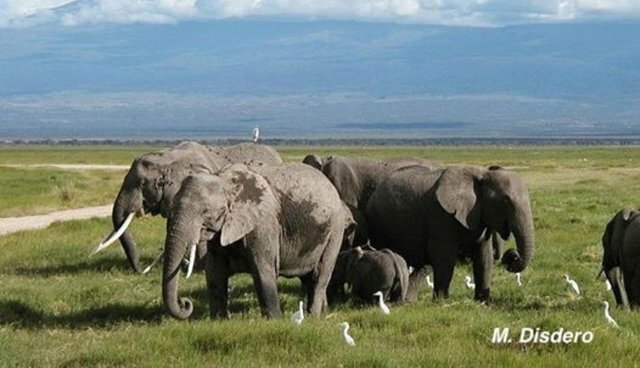 Introduced by Assemblyman Robert Sweeney (D-11) and Senators Andrew Lanza (R-24) and Tony Avella (D-11), the bill seeks to reduce the trade in ivory and rhinoceros horn. Illegal trafficking of these products is directly responsible for shocking declines in wild populations in recent years. According to Adam M. Roberts, CEO of Born Free USA, "The elephant poaching epidemic across Africa has reached crisis levels, and rhino poaching is escalating exponentially. As the largest ivory market in the nation, New York bears a significant responsibility to lead the way with legislative solutions. We applaud Governor Cuomo for taking this crucial step in conservation." The new law amends the environmental conservation statute to restrict the sale and distribution of ivory and rhino horn articles. It also increases the penalties for the illegal commercialization of wildlife. The elephant poaching crisis has become increasingly severe and it is estimated that more than 86,000 elephants have been poached since January 2012. "If the killing rate continues, certain African elephant populations could be extinct within a decade," says Roberts. "As proven in our recent groundbreaking report, Ivory's Curse, illegal ivory trafficking is exploited by transnational criminal networks that enable terrorism, weapons, and human trafficking, feeding devastating violence and instability in Africa." Additionally, all five rhino species are in serious danger due to poaching. Africa's black rhinos are critically endangered, with a population of fewer than 5,000. There are only 3,000 one-horned rhinos remaining in India and Nepal, and Southeast Asia's Sumatran and Javan rhinos number only in the hundreds and tens, respectively. The horns, made of a substance akin to fingernails, are used in traditional Asian medicine. Despite conclusive evidence that they have no curative properties, hundreds of rhinos are killed for their horns every year. The New York law contains several exemptions. An item may be sold if it is a bona fide antique (over 100 years old) and contains less than 20% volume of ivory or rhino horn. Additionally, these products may be distributed for educational or scientific purposes, or if they are part of a musical instrument manufactured prior to 1975. Born Free USA will continue to work to close these potential loopholes, but still celebrates this law as a remarkable and momentous step forward. Through litigation, legislation, and public education, Born Free USA leads vital campaigns against animals in entertainment, exotic "pets," trapping and fur, and the destructive international wildlife trade. Born Free USA brings to North America the message of "compassionate conservation" - the vision of the United Kingdom-based Born Free Foundation, established in 1984 by Bill Travers and Virginia McKenna, stars of the iconic film Born Free, along with their son, Will Travers. Born Free USA's mission is to end suffering of wild animals in captivity, conserve threatened and endangered species, and encourage compassionate conservation globally. More at www.bornfreeusa.org, www.twitter.com/bornfreeusa, and www.facebook.com/bornfreeusa. Media contact: Rodi Rosensweig, publicrelations@bornfreeusa.org, (203) 270-8929.